Any little girl will love to see how their name is spelt out with our fantastic animal alphabet on this pretty pink notebook. We are extremely pleased with the furniture and accessories that we have received. We would definitley order from Little Lucy Willow in the future. 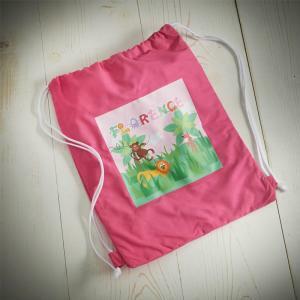 Personalise this Girls Animal Alphabet Swim Bag with a name using up to 12 characters. Pink drawstring swimbag. White drawstring closure doubles..
A great stocking filler! This personalised princess themed notebook can be personalised with any first name up to 13 characters. Please include 's ..
Any little girl will love to see how their name is spelt out with our fantastic animal alphabet on this pretty pink diary. Personalise this fantastic ..
A plastic wallet containing 12 colouring pencils and 8 HB pencils. Personalised with name up to 15 characters. 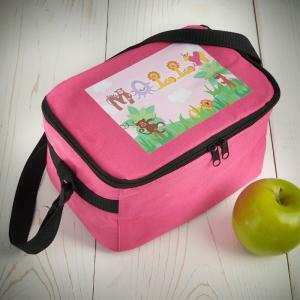 The perfect gift for school or to..
Any little girl will love to take her lunch to school or nursery in this bright pink lunch bag. 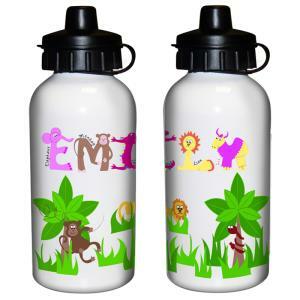 Personalise with your child's name up to 12 charact..
Personalise this Animal Alphabet Drinks Bottle with any name up to 12 characters. The bottle is made of aluminum and the lid is made of plastic. ..